U.S. production and consumption of cottonseed oil are expected to significantly increase this year, despite fewer cotton acres and a lower supply of cottonseed, says Ben Morgan, executive director of the National Cottonseed Products Association (NCPA), Cordova, TN. Cottonseed oil is a versatile, trans-free salad and frying oil for the restaurant and snack-food manufacturing industries. For the second year in a row, more available cottonseed will be crushed for oil than fed to dairy cows as whole seed, Morgan adds. “Cottonseed oil now comprises the largest portion of the total return from cottonseed to growers,” he explains. “Strong demand from the food industry sector has undeniably increased the value of cottonseed. Once viewed as a leftover of the ginning process, cottonseed processing is increasingly being viewed as a viable revenue source over and above cotton fiber production. 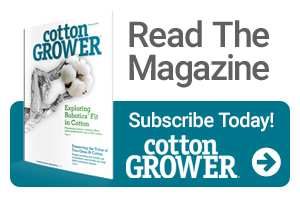 “If the price of cottonseed oil can improve by one penny per pound, the added value to the cottonseed crop would exceed $24 million in an average year,” Morgan says.